MERCY STREET, the much-acclaimed Civil War-era drama set in the occupied city of Alexandria, Virginia, will return to PBS stations for a second season on January 22 2017, at 7 p.m. on OETA. Allegiances blur, loyalties shift and the drama intensifies as the scope of the war pushes beyond Mansion House, the former hotel commandeered by northern troops to serve as a Union hospital. Executive produced by Ridley Scott (The Martian,Gladiator, Thelma and Louise and “The Good Wife”); David W. Zucker (“BrainDead,” “The Good Wife” and “The Man in the High Castle”) of Scott Free; Lisa Q. Wolfinger (“Desperate Crossing, the untold story of the Mayflower”) and David Zabel (“ER”), the series follows the doctors, nurses and soldiers, as well as free, enslaved and contraband African Americans and other residents of the war-torn city, as they navigate the new world emerging from the most cataclysmic event in our country’s history. The first season of MERCY STREET, which premiered on January 17, 2016, and ran for six episodes, reached a total audience of 14 million people and rated a 3.0, beating the PBS 10:00 p.m. Sunday timeslot on average by 70 percent over the season. It is the second highest rated drama for the year to date on PBS, after “Downton Abbey” on MASTERPIECE. The full season streamed over two million times (from January 14 – March 6, 2016) across all platforms, including PBS station websites, PBS.org and PBS apps for iOS, Android, FireTV, ROKU, Apple TV and Windows 10. Season Two picks up directly from the dramatic events at the end of the first season finale, continuing to explore life in the chaotic city of Alexandria, the complicated interpersonal dynamics of Dr. Foster, Nurse Mary and the Mansion House staff, the increasingly precarious position of the Green family and the changing world of the burgeoning black population. The second season will introduce a number of new elements, taking the viewer closer to the war and into the halls of Confederate power, all set against the intensifying war, starting with the Seven Days’ Battle and culminating with Antietam. The new season also delves deeper into the lives of newly freed African Americans, exploring – among other areas – life in a contraband camp, where formerly enslaved African Americans are forced to confront horrific living conditions and disease, but also get a glimpse of freedom. Patina Miller (Pippin, “Madam Secretary,” The Hunger Games: Mockingjay − Parts 1 & 2) as Charlotte Jenkins, an educated contraband abolitionist activist who arrives in the first episode. A former slave who escaped to freedom years before through the Underground Railroad, Charlotte (a composite of numerous historical figures, most prominently Harriet Jacobs) offers education to other former slaves and helps with the sick who have contracted smallpox, which was epidemic during the Civil War. Brían F. O’Byrne (“Mildred Pierce,” “Aquarius”) as Allan Pinkerton, head of the Union Intelligence Service. The character is based on the real Allan Pinkerton, a Scottish emigrant and abolitionist who founded America’s first detective agency and successfully brought down some of the country’s most ruthless criminals. Bryce Pinkham (A Gentleman’s Guide to Love and Murder, The Heidi Chronicles) as Maj. Clayton McBurney III, the new hospital chief. Lyne Renee (“Of Kings and Prophets,” “Strike Back,” The Hippopotamus) as Lisette Beaufort, a stylish and bold Parisian who has a past with Dr. Foster and creates a stir in the hospital when she accepts a commission with the Union Army in medical visual documentation. Chris Wood (“The Carrie Diaries,” “Vampire Diaries”) as Captain Lance Van Der Berg, a handsome young Union captain lodging at the Green home when he strikes up a budding romance with Alice Green, who has ulterior motives for the courtship. William Mark McCullough (“Underground”) as Larkin, a Confederate sympathizer in league with Jimmy Green, who helps formulate a plan to provide rebel fighters with munitions. Nyambi Nyambi (“Mike & Molly”) as Caleb, a contraband who arrives at Mansion House Hospital searching for a particular woman. Mary Elizabeth Winstead (“BrainDead,” 10 Cloverfield Lane, “The Returned,” The Spectacular Now) as nurse Mary Phinney, a feisty New Englander and widow who is a newcomer at Mansion House Hospital. Josh Radnor (“How I Met Your Mother,” Liberal Arts, Broadway’s Disgraced) as Dr. Jedediah Foster, the civilian contract surgeon who grew up in a privileged Southern slave-owning household as the son of a wealthy Maryland landowner. Peter Gerety (Syriana, Charlie Wilson’s War,Flight, God’s Pocket, “The Wire,” “Prime Suspect”) as Dr. Alfred Summers, chief surgeon at Mansion House, who has risen to the rank of major by virtue of his age, not skill. Hannah James as Emma Green, an entitled Southern young woman who volunteers as a nurse at Mansion House Hospital, the facility established on the site of her family’s luxury hotel. Brad Koed as James Green, Jr., working alongside his father in the family businesses while he desperately wants to be on the front lines for the Confederate cause. Norbert Leo Butz (“Bloodline”) as Dr. Byron Hale, an old-school army surgeon who lives life by the book. While Hale has an eye for the nurses, he has an ongoing relationship with Nurse Anne Hastings. McKinley Belcher III (“Show Me a Hero,” “Chicago PD”) as Samuel Diggs, a free black laborer harboring a secret knowledge of and ability in medicine, which he learned as a young servant. Jack Falahee (“How to Get Away With Murder”) as Frank Stringfellow, a Confederate spy who is betrothed to Emma. AnnaSophia Robb (“The Carrie Diaries,” The Way, Way Back, Bridge to Terabithia) as Alice Green, Emma’s younger sister who, initially frivolous and naive, becomes the most fervently committed member of her family. Donna Murphy (“Resurrection,” “Hindsight,” Broadway’s Passion and The King and I) as Jane Green, wife of James Green, Sr.,and mother to three, the quintessential Southern matriarch. Stephen Cragg, (“Scandal,” “Nashville,” “How to Get Away With Murder,” “ER,” “Boston Legal,” “Grey’s Anatomy,” “Southland,” “Doogie Howser, MD”) for Episodes 1 and 2. Laura Innes (“How to Get Away With Murder,” “The Affair,” “Brothers & Sisters,” “The West Wing,” “Grey’s Anatomy”) for Episodes 3 and 4. Alexander Zakrzewski (“Bosch,” “Blacklist,” Tyrant,” “Salem,” “The Good Wife,” “The Wire,” “Oz,” “NUMB3RS) for Episodes 5 and 6. To ensure historical accuracy for the series, the producers engaged a team of advisors headed by noted historian Dr. James M. “Jim” McPherson and including leading experts on Civil War medicine, military history, African-American history, women in the Civil War era and more. McPherson will return for Season Two, along with Shauna Devine (Learning From the Wounded, the Civil War and the Rise of Medical Science), Jane Schultz (Women at the Front: Hospital Workers in Civil War America), Audrey Davis, director of the Alexandria Black History Museum, and Anya Jabour (Scarlett’s Sisters, Young Women in the Old South). New additions for Season Two include James Downs (Sick From Freedom: African American illness and suffering during the Civil War and Reconstruction), an Andrew Mellon New Directions Fellow at Harvard University; Dr. Anthony Tizzano, a member of the clinical faculty of obstetrics and gynecology at Case Western Reserve University and Cleveland Clinic’s Lerner College of Medicine; Walton Owen, former curator of the Fort Ward Museum in Alexandria, Virginia; Dr. Gordon Dammann, founder of the National Museum of Civil War Medicine; and Jay Sexton (Debtor Diplomacy; Finance and American Foreign Relations in the Civil War era), director of the Rothermere American Institute. PBS is creating a comprehensive web experience to complement the MERCY STREET broadcast. In addition to an expanded character hub and episode guide, the site will continue its popular blog “Mercy Street Revealed,” with behind-the-scenes posts by the production crew and in-season episode recaps written by the series’ historical advisors. Additionally, there will be special features covering various aspects of the production for Season Two, 360 video and photos, and a social hub highlighting the best of #MercyStreetPBS. PBS LearningMedia offers a range of online content designed to bring MERCY STREET into classrooms across the country, including a series of student-facing videos that explore ties between current events with roots in Civil War era history, clips from MERCY STREET and teacher-focused classroom support materials, such as background essays and lesson activities. 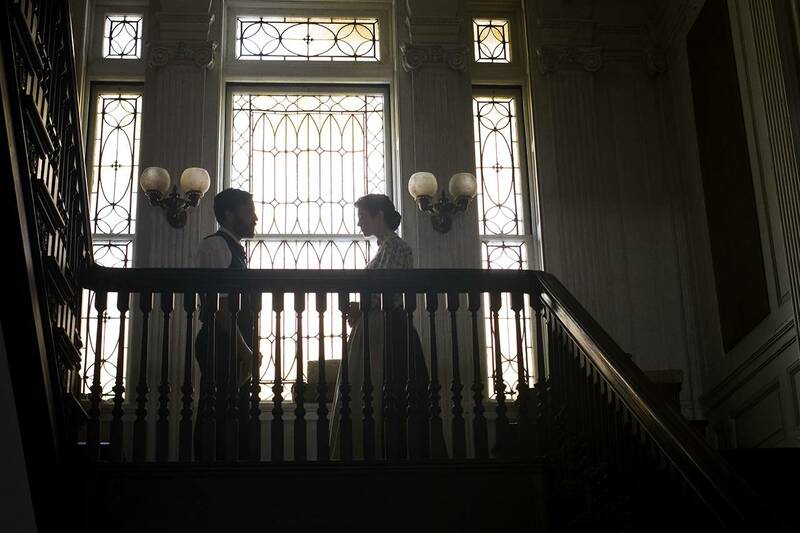 These resources enable teachers to connect content covered in MERCY STREET with curricular topics in Civil War era history, and connect themes covered in the series to issues relevant to students’ lives today. In February 2016, Little Brown published Dr. Pamela D. Toler’s Heroines of Mercy Street. The book explored the lives of the real nurses of Mansion House – such as Dorothea Dix, Mary Phinney, Anne Reading and more – as depicted in the MERCY STREET series. Toler highlighted the contributions of the women who gave their time freely and willingly to save lives and aid the wounded during an astounding time of medical advancement. Toler has also authored Mankind: The Story of All of Us and The Everything Guide to Socialism.